KARACHI: Prime Minister Imran Khan Sunday said that the government is determined to construct Diamer Bhasha and Mohmand dams with active public support, He was addressing a fund raising event here. Paying tribute to CJP Justice Saqib Nisar for his move to initiate the fund raising campaign for Diamer Bhasha and Mohmand dams in the country, Prime Minister asked the countrymen to generously contribute to dams' fund. 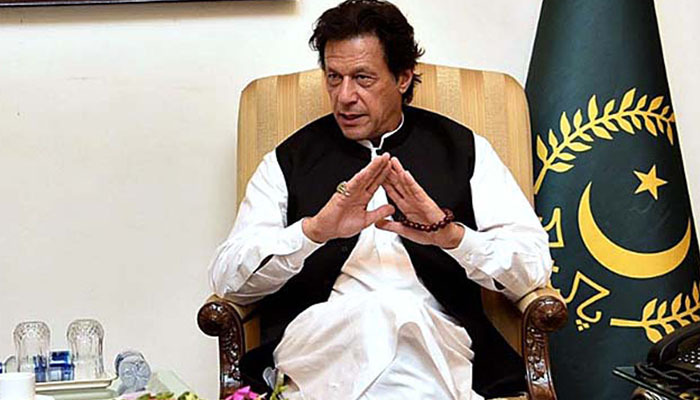 Appealing to the nation to actively participate in the campaign for collection of funds for dams, Imran Khan announced that the government would strive for the construction of Diamer Bhasha and Mohmand dams in its five-year term. The event was a attended by President Dr Arif Alvi, Sindh Governor Imran Ismail and Finance Minister Asad Umar . In his address, Prime Minister made it clear that the contraction of dams is possible with the active participation of the public, contributions from the expatriates and the continuation of the cash flow as the government did not have required financial resources out of its tight monetary budget allocations. Highlighting the importance of the dams, Imran Khan said unless the whole nation is galvanized for the purpose, it would be too late to achieve the task for the future generations, adding that the country has only two major dams when compared with China which has 84000 dams whereas India has 5000 dams. Imran Khan regretted that the past governments turned the burning issue as a back-burner while focusing on short term issues for political mileage during their terms. He expressed his alarm at the water scarcity threatening the country. Pakistan, he said, could head towards acute water shortage disturbing its food security in 2025. He said the per capita water availability had been reduced to merely 1000 cubic meter. He also especially mentioned Chief Justice of Pakistan Mian Saqib Nisar for the initiative and thanked him on behalf of the countrymen for starting the campaign of dams' construction. Now the countrymen has gathered for the construction of dams, he said, adding the work on the Mohmand Dam would also commence simultaneously. He said Karachi had been the financial capital of the country and regretted that in the past, its ownership was not claimed by the ruling political forces. The city of lights would now contribute to the financial and economic stability of the whole country, he added.